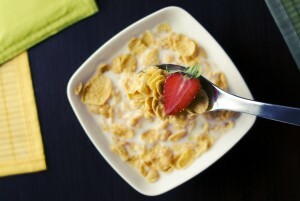 Kellogg’s Australia is now selling gluten free versions of Special K and Corn Flakes cereals. The cereals are the company’s first entirely gluten-free products. Both cereals are endorsed by Coeliac Australia. Kellogg’s Australia Portfolio Marketing Manager Janine Brooker said whilst 2016 has already seen new food trends emerge, the demand for gluten free products still remains. “We continue to see a growing number of consumers, including coeliac disease sufferers, requesting gluten free alternatives to our popular cereals,” Brooker said. “Research conducted with current consumers of gluten free cereals also showed there was a gap in the market for products that can deliver a great taste experience that’s consistent with products containing gluten,” she said. Corn Flakes Gluten Free is made with 91 per cent corn and is described by Kellogg’s as being low in fat and a good source of six essential vitamins including folate. Special K Gluten Free is made from 85 per cent brown rice and according to Kellogg’s it is a source of iron and zinc. Both cereals can be purchased now from Coles, Woolworths and independent supermarkets across Australia. Kellogg’s Corn Flakes Gluten Free have a recommended retail price of AUD$3.99 and Special K Gluten Free has a recommended retail price of AUD$5.99. Interestingly, in August 2014 Australian Food News reported a Kellogg’s rival, Sanitarium, had launched an innovative gluten-free version of its main cereal product Weet Bix made of sorghum.